Without doubt, the best traditional Greek tavern in Mykonos. 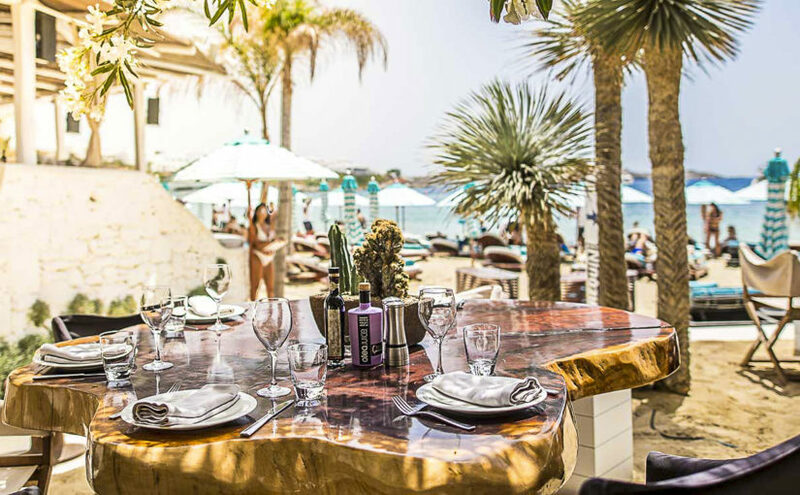 Located in one of the most beautiful areas with the most relaxing view of Saint Sostis beach, which is a virgin one, Kiki’s tavern is the right place for those who seek to have their lunch in a Greek traditional way. The environment is perfect in its simplicity and so natural, as the small tables are placed over the trees. The tavern is also famous because there is no electricity, that’s why you can taste the traditional flavors, the Greek tasty salads, the amazing chicken and meat dishes and the local Greek wines. Another thing is that no reservations are accepted there. You should wait even one hour to get a table because the place is always so much crowded. If you happen to have your bath to Saint Sostis, Kiki’s tavern will be a small paradise next to you waiting to explore it.